As we can see in the figure below, the interstage between the escape module and the command module is vented. Why did they go for vented interstage? Wouldn't it increases the serodynamic loadings and hence structural loading to the interstage trusses? How did they manage the flexibility of these interstage trusses because of the engine vibrations and aerodynamic loadings? The LES support truss doesn’t have the same function as an ordinary interstage. Unlike normal rocket stages, the LES may have to take the command module below it along when it fires. Thus its rocket motors have to be pointed outwards to avoid burning the CM. The further outward they’re turned, the more of their impulse is wasted. Mounting the LES further forward lets the outward angle be minimized. The support truss exists to do exactly that, and the open triangular grid structure minimizes the weight penalty for it. Presumably the cost incurred in aerodynamic drag is less than the weight of a closed shell around the truss would be. Not the answer you're looking for? Browse other questions tagged rockets crewed-spaceflight saturn-v or ask your own question. How did they solve Saturn V pogo oscillation problems? Why is (conventional) ramjet not used for 2nd stage of rocket propulsion? Why do rocket nozzles open near the end? 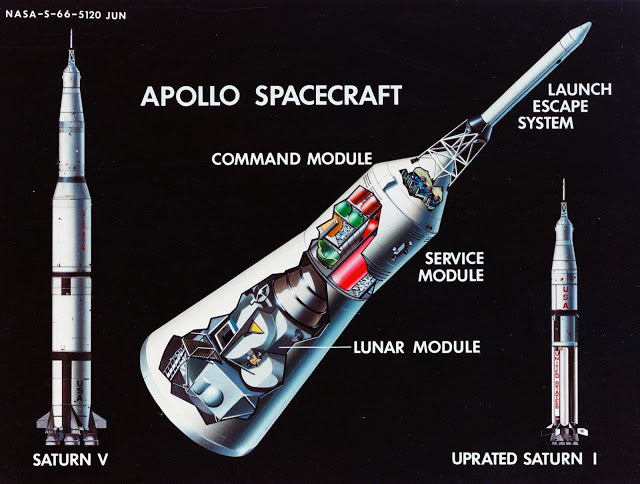 Why weren't Saturn V and the Soviet N-1 Moon rockets made larger in order to simplify Lunar missions? Upper stage structural loads on ascent? What modifications constituted the ‘reorificing’ of F-1 engines on later Saturn V flights?